Turn your interior spaces into a work of art with cabinet painting, faux finishing, wall murals and standard painting from HANNON DESIGNS. 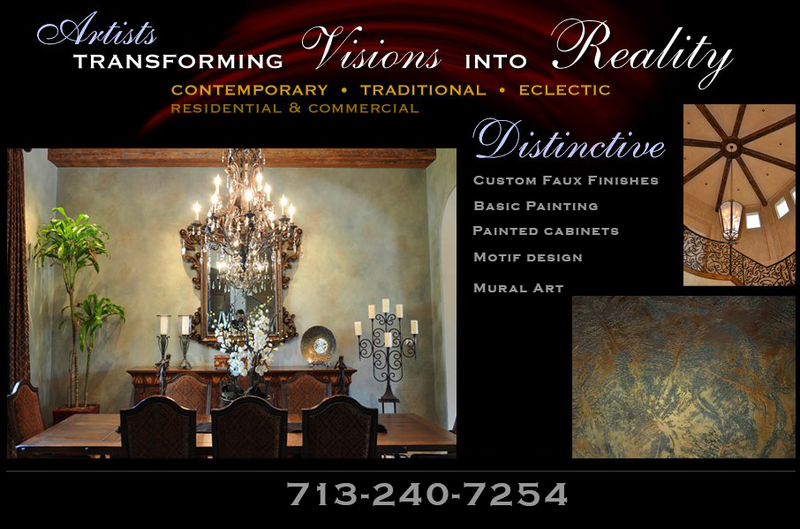 We want to communicate your vision through art and bring beauty to the sanctuary of your home or place of business. We also specialize in basic house painting / Interior & exterior. HANNON DESIGNS in Houston, Texas & New Orleans, LA is always working towards new concepts and unique ideas for decorative painting on walls, ceilings, and cabinets. Striving for distinction in our hand-painted projects, we work with you through an interactive interior consultation to ultimately achieve continuity and harmony in your home or business. Our main priority is bending over backwards to make sure the results are exactly as you wanted. Contact us today to request a service for interior or exterior painting at competitive rates.